Lovely and pretty summer baby kids girls icing ruffle shorts. 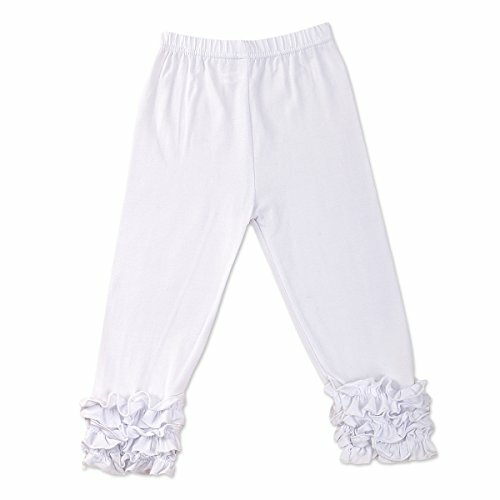 Pants with layered ruffles design, elastic waist, so cute and sweet. High quality, soft and breathable fabric, comfortable to wear. Available in a wide variety of colors, perfect for everyday wear. If you have any question about our product, please contact us at your free time, we will response you within 24 hours. Friendly Tips: The size is manual measurement, please allow minor error about 1-3cm difference of measurement. Photo color might be a little different from the actual product due to color display of different monitors.